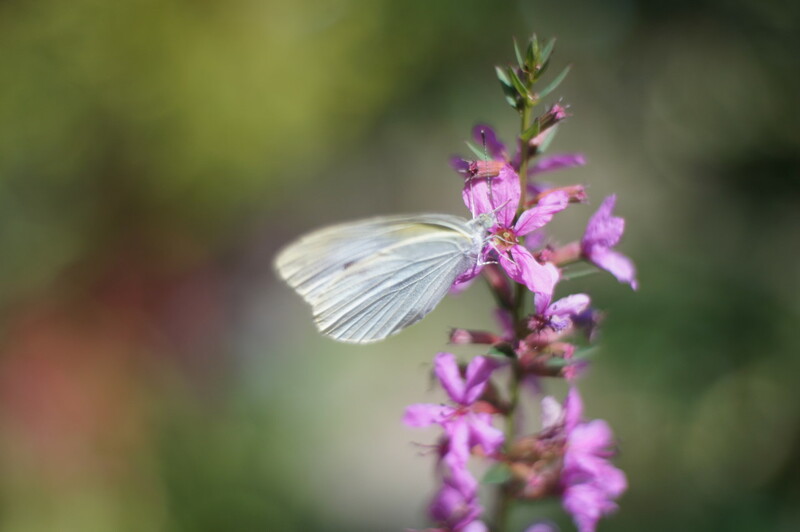 I recently got a new lens for my Sony Nex camera. 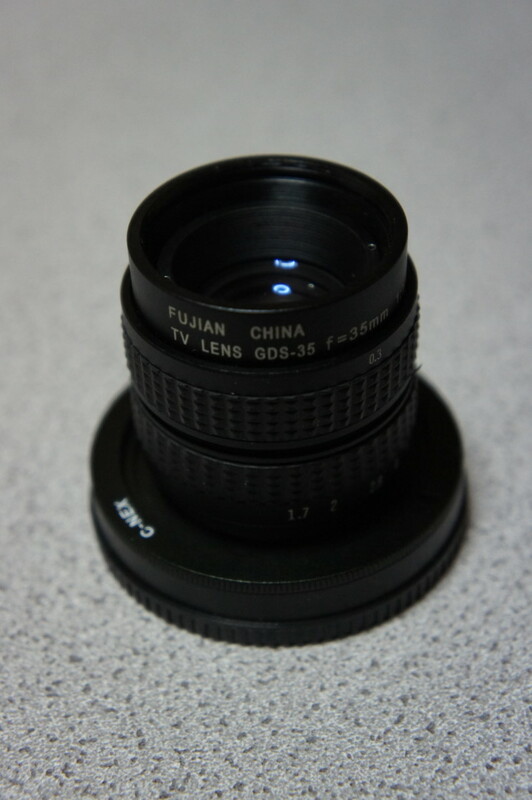 It’s a Fujian CCTV 35mm lens. It’s a super cheap lens from China. 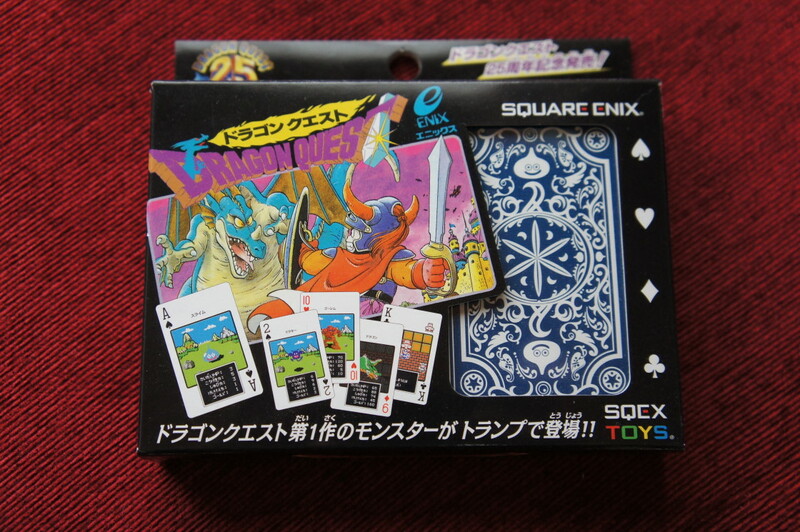 Just about 3000 yen. Which is crazy when you’re talking about lenses. 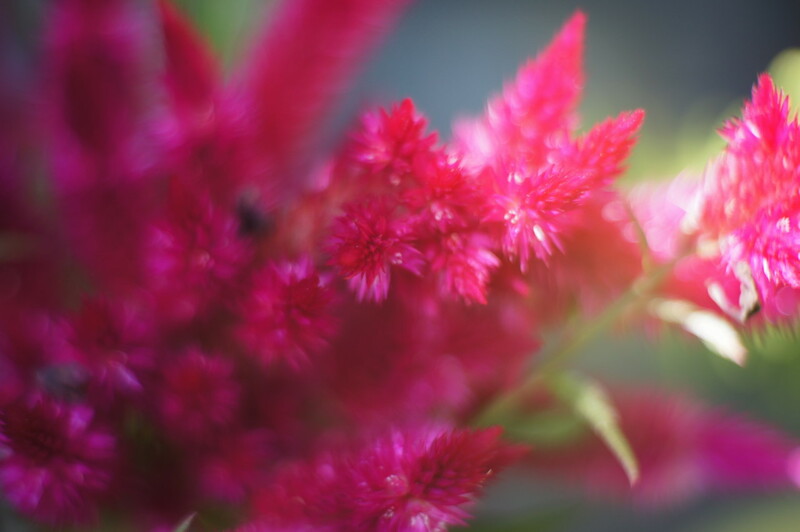 It’s completely manual for focus and aperture. The build is very simple, solid, and doesn’t feel like a cheap lens. The interesting thing about it is it can give an extreme depth of field effect. Kind of like those toy type camera effects that are popular recently (like Instagram and such). It came with a few macro rings to add to it as well, and they work pretty good. All and all a good purchase. I can’t wait to use it more. Anyways here’s some quick photos I snapped in the yard. 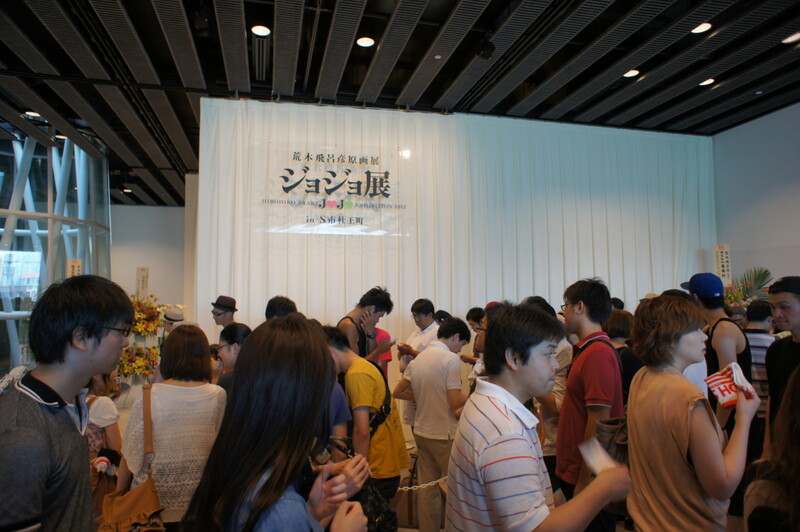 On Thursday I went to the Jojo’s Bizarre Adventure exhibit in Sendai. 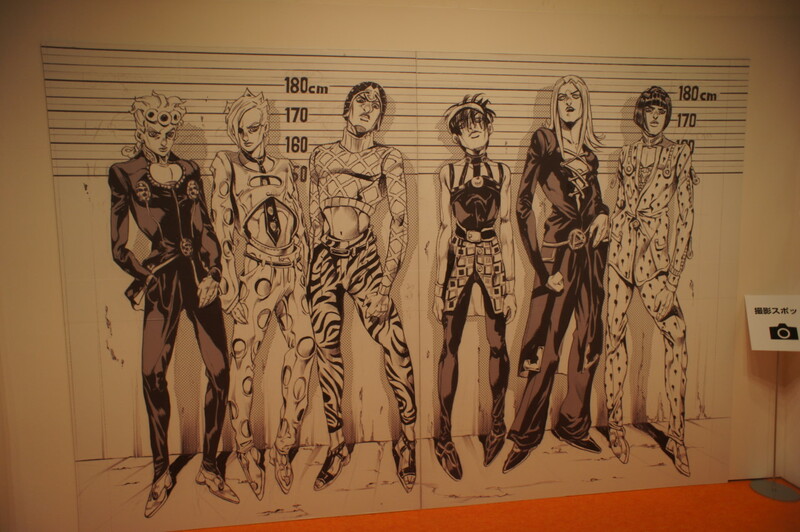 The artist Araki is originally from Sendai, so that means we get an awesome 25th anniversary art show here. Photos were not allowed in the exhibit except for one spot. Which you can see below. It’s too bad because the artwork on display was amazing! The detail and complexity of Araki’s art really shines when seen in person. I feel after seeing it I can understand his technique much better. If you bought the special ticket (like I did) you got this special newspaper. It mimics the style of Sendai’s local paper. 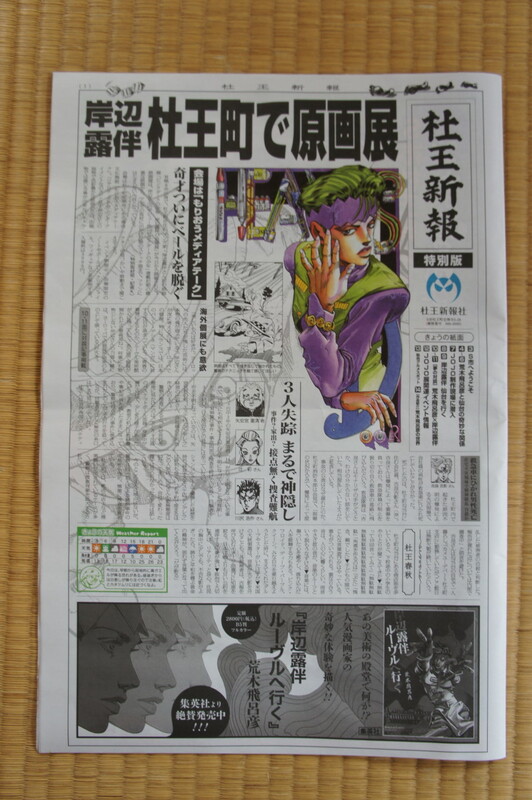 Inside are interviews with Araki, and points of interest in Sendai for jojo fans (two parts of the comic are set in Sendai). In a couple days I’ll post the goodies I got at the show, so check it out. One of my buddies (and also fellow coworker), started his own clothing company called Yancha Digs. It’s philosophy is the mixture of samurai culture and skateboarding culture. 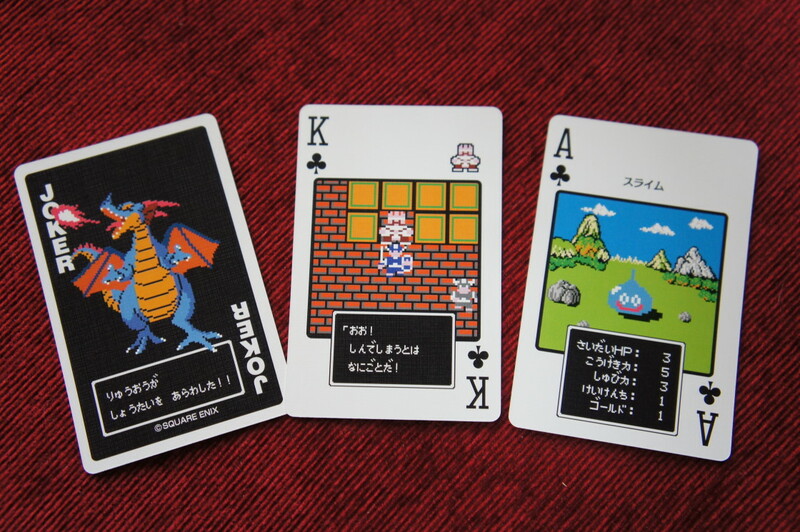 They have all kinds of cool designs mixing the two together in interesting ways. Recently I got a shirt from them which throws together two of my favourite things. Clint Eastwood and samurai swords. How perfect is this combination! 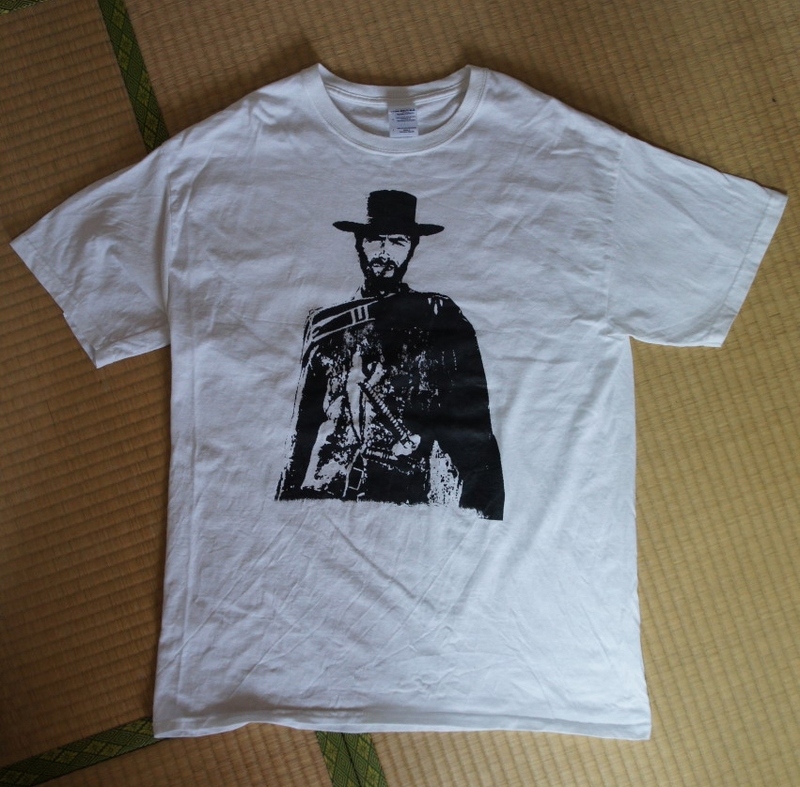 Especially since the “Man with no name” character was based on some Kurosawa samurai movies to begin with. Currently this shirt is classified as a prototype, and not for sale, but there are lots of other cool designs on the site and more being created all the time. So check out they’re site and buy something if you like it. They have all kinds of stuff, T-shirts, hoodies, even skate decks. It’s all available at Yancha Digs. A POST DRAWS NEAR! COMMAND? What’s this a real post!! I bet everybody thought I forgot about this poor blog (I did a little bit). Truth is it’s all due to laziness (and not having much to write about)! So out of building feelings of guiltiness and neglect, comes a post. 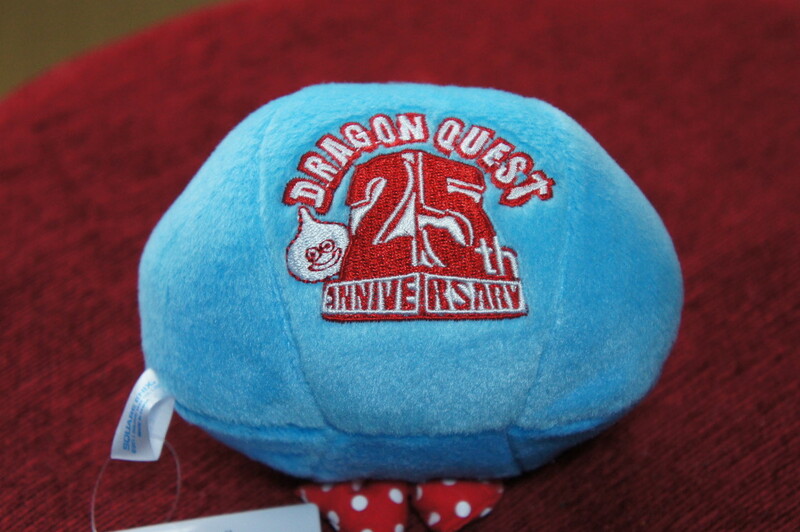 Anyways here’s some of the various Dragon Quest merchandise I bought over the past while. Most of it was for the 25th anniversary. 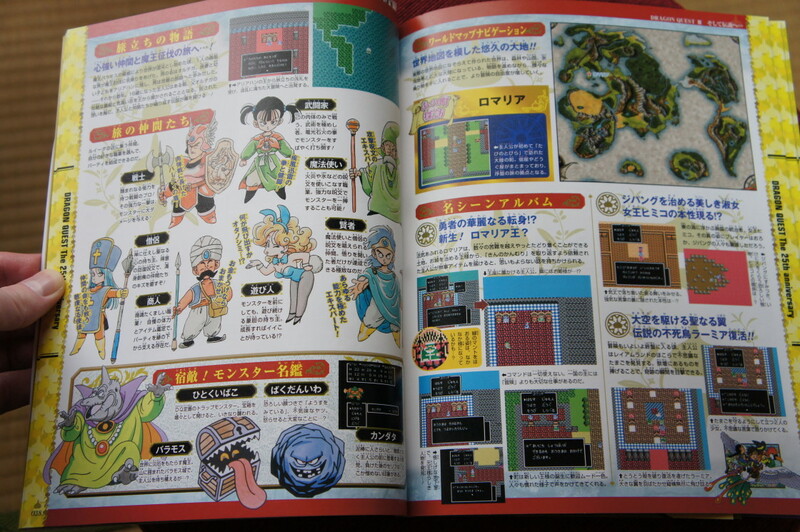 Some of it I actually got at the DQ museum that was in Tokyo last year. 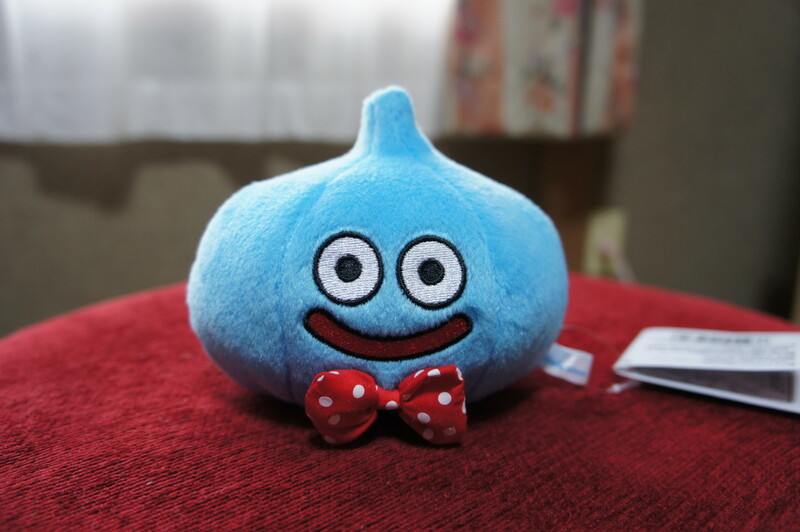 First is a special slime for the 25th anniversary. What’s different about it? Well it’s wearing a bow-tie first of all. 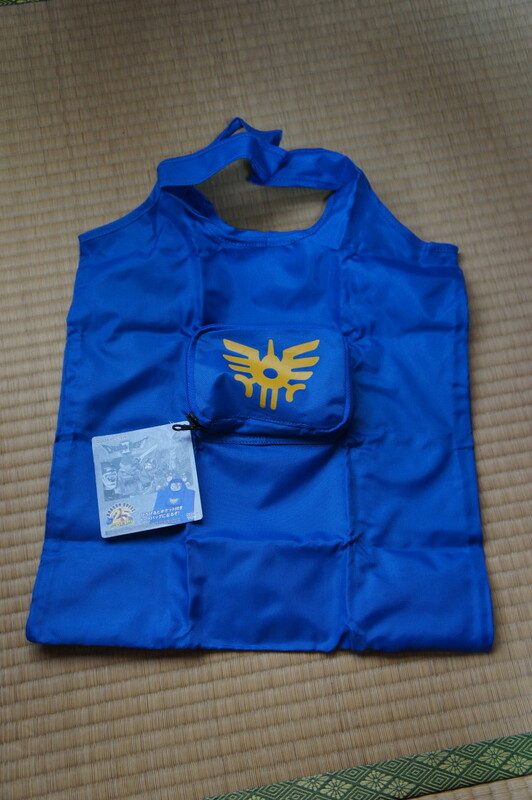 Also on the back it has a special patch. 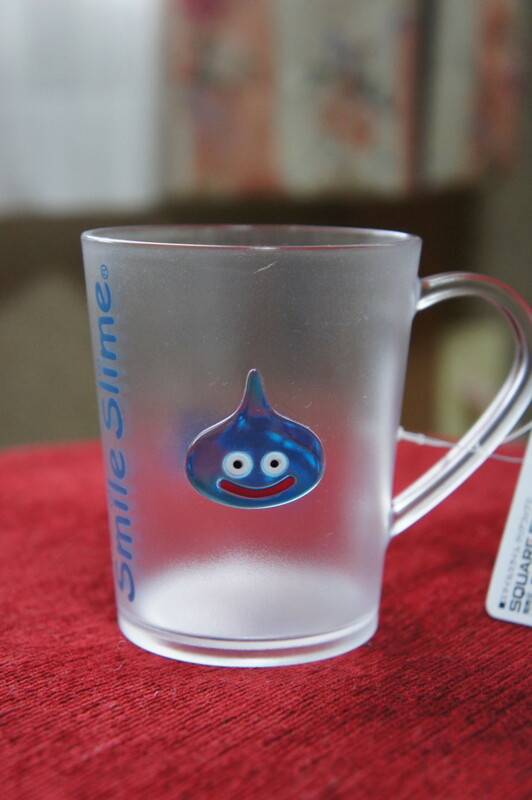 I also picked up this cool slime glass. I use it everyday to drink juice in the morning. 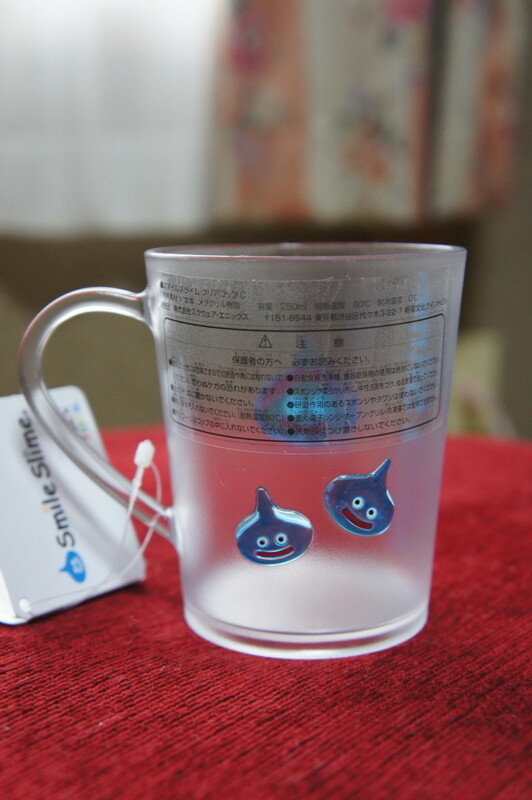 There’s a couple more slimes on the back too. 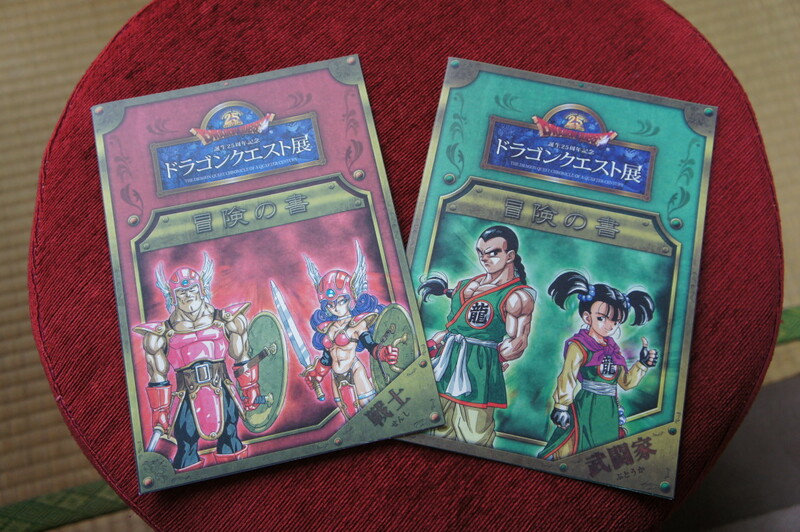 These special booklets were only for people who went to the 25th anniversary museum. Inside is some simple quests for you to do while you looked at the exhibit. If you did everything correctly you got a special pin as shown below. 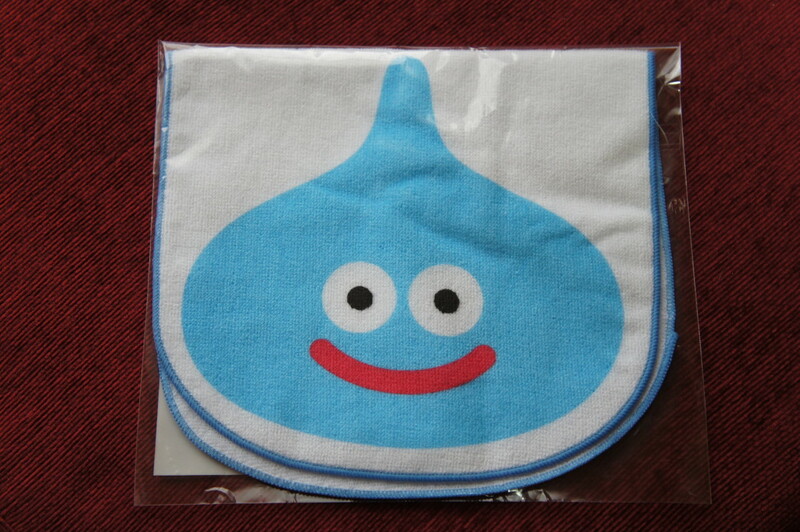 Here’s a slime handkerchief I got. I thought it was really cute. One thing I tend to do when I go somewhere in Japan is buy a special handkerchief for that place. They always sell them everywhere, and they’re also really handy and useful. A souvenir that you can actually put to use. I got this book at the local Yodobashi Camera electronics store. 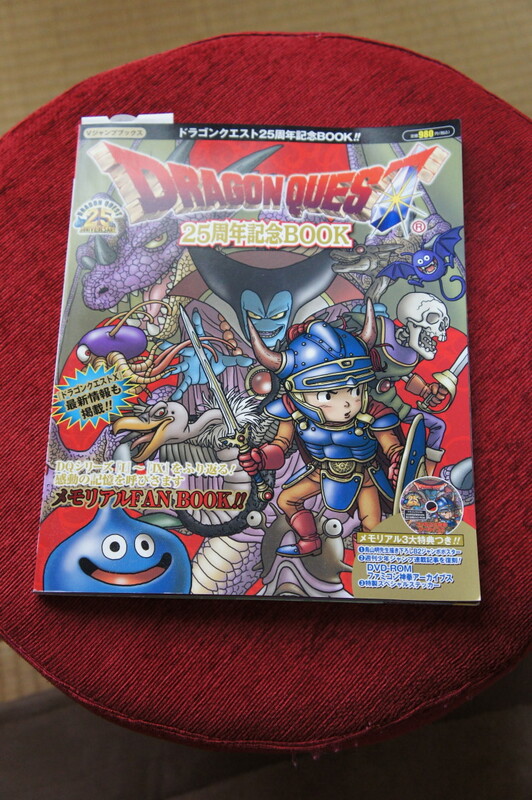 It’s almost what you would call a Dragon Quest history book. 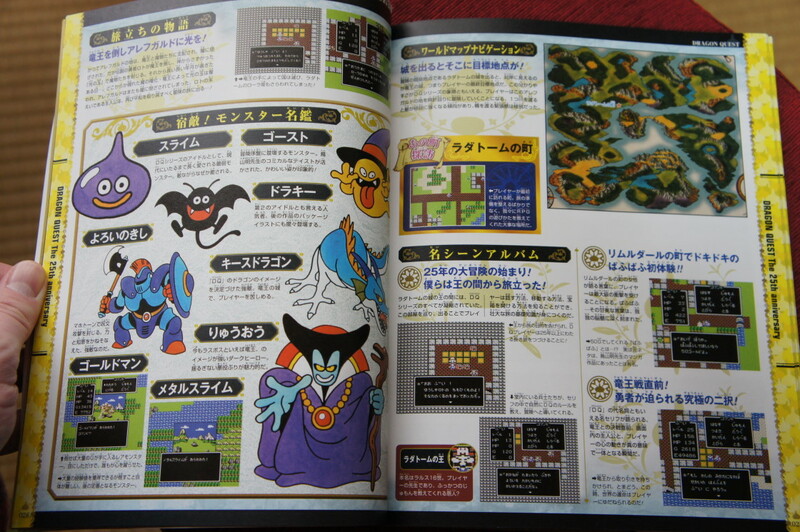 It’s filled with tons of info about the series. All the artwork is cool though. 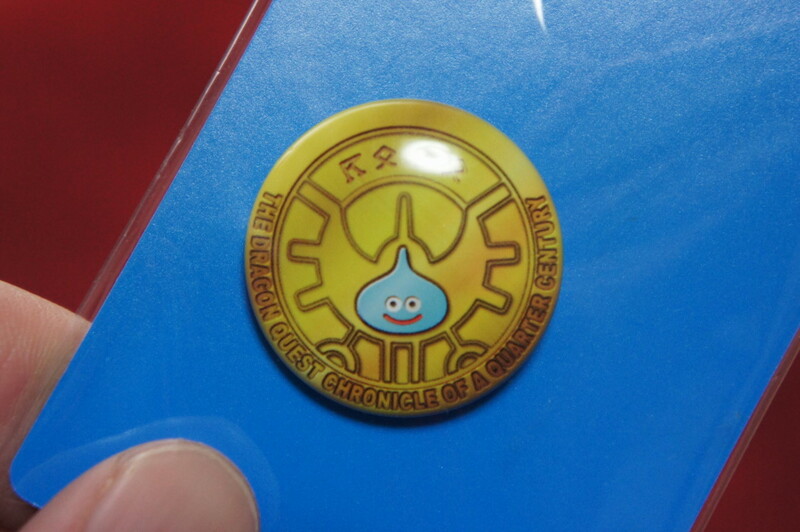 They have a really cool slime design on the back of them. 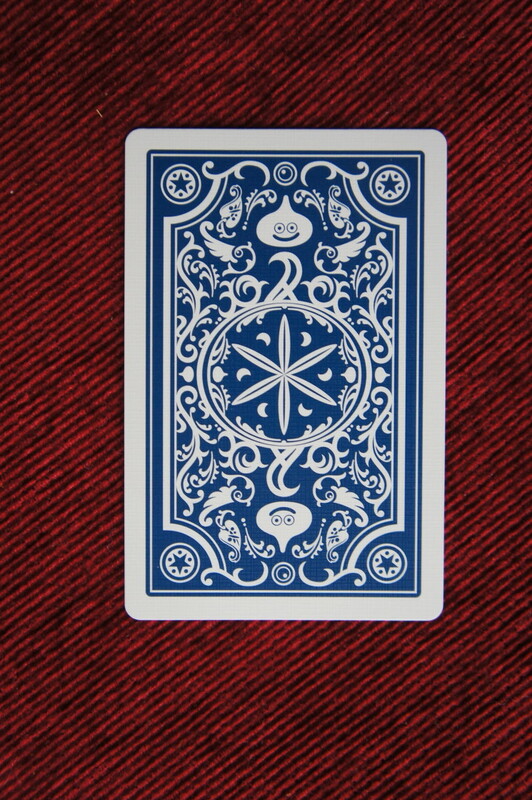 Also some the cards have some cool pictures on them. Finally here’s an Eco-bag. 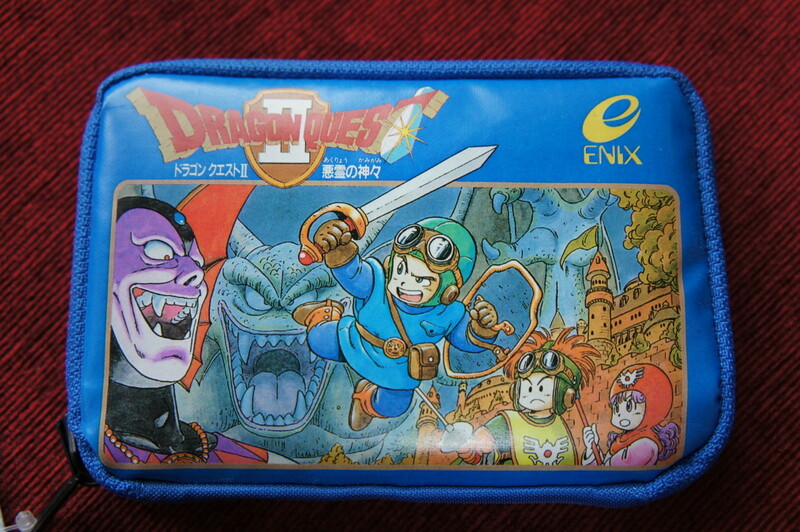 It looks like a Famicom (NES) box when it’s all folded up. When it’s open you can see the hero symbol on the front of the bag. So that’s my round of all my goodies. Lately I’ve been acquiring some good Jojo stuff due to its anniversary this year so expect a future post on that. I took this very short video at the COEX mall in Seoul. Some Korean boy band was there signing autographs, and the fans were going mental. I’ve never seen anything like it before in my life. 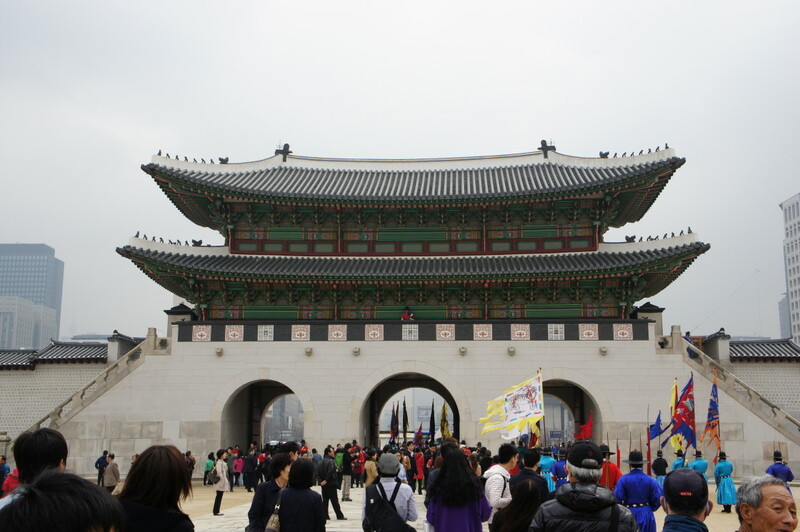 We went to see Gyeongbokgung Palace. It was interesting. The palace itself it beautiful. 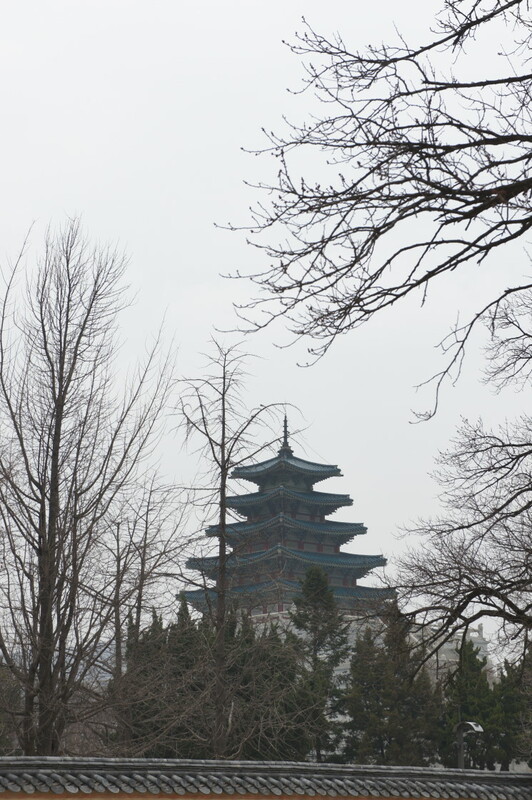 I found it looked very similar to Japanese temples, except bigger and tons more buildings. 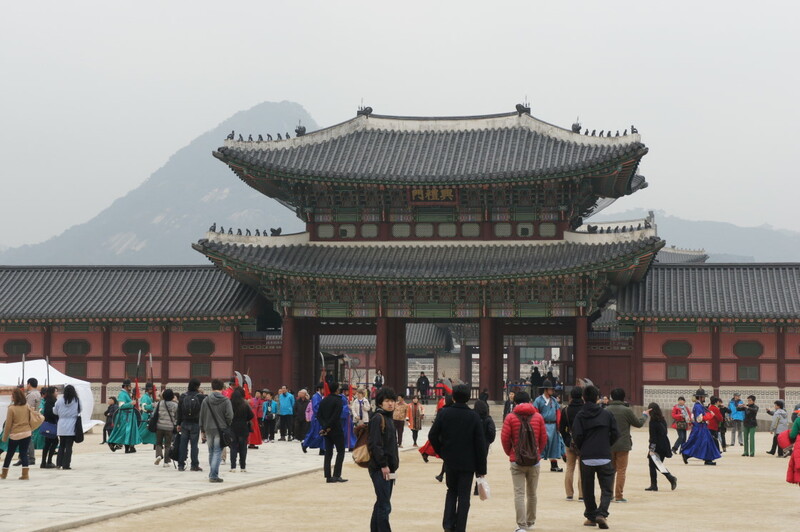 Aside from that the grounds were huge, which only emphasized the emptiness of the place. 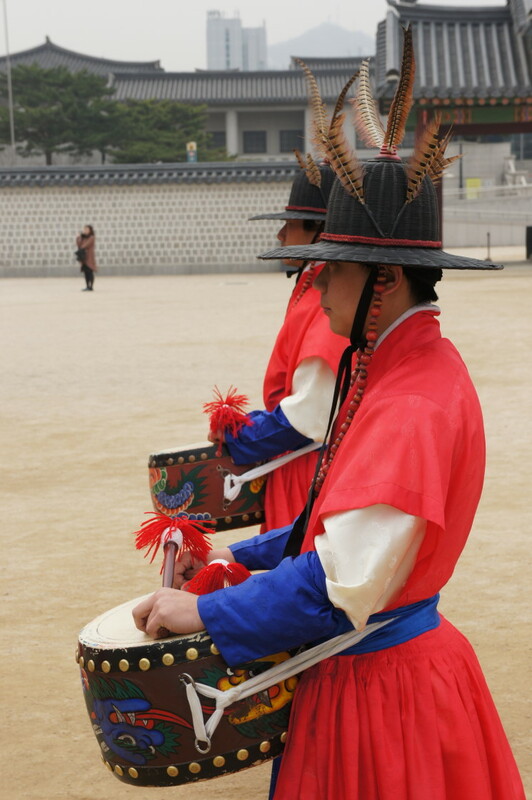 Aside from the changing of the guard ceremony there seemed to be no other people in period costumes anywhere. 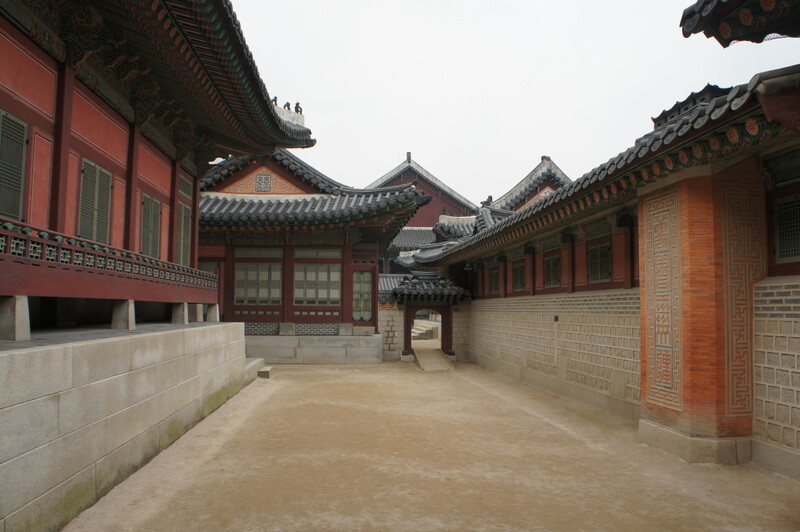 Also most of the artifacts were housed in museums so the real palace buildings were mostly empty. 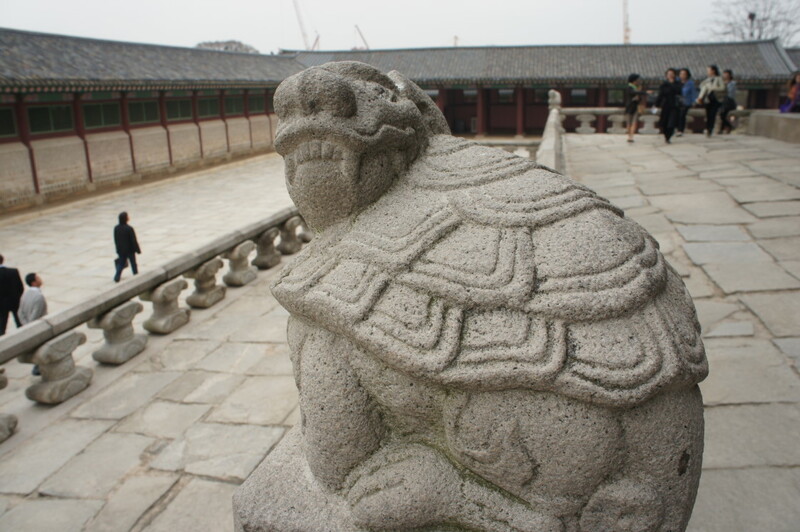 Anyways here’s some pics of the grounds. 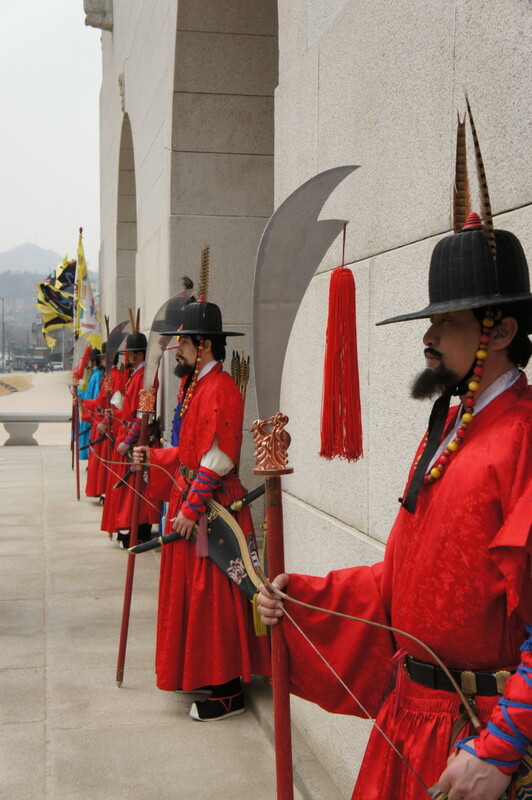 Below is some pics of the changing of the guards and a short movie of part of it. Pardon my shaky hands and completely un-smooth zooming.